Sometimes, you don’t need to do much to certain ingredients as they just blend in harmoniously with other ingredients. In this case, I am referring to the combined flavors of tomatoes, olive oil and garlic; just like how you get gorgeous bruschetta with the 3 mentioned ingredients. 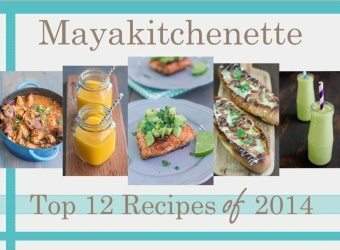 Recently I joined the Pinterest community and I have started pinning and pinning everything that caught my eye. When I saw this picture…. I just knew I had to give these marinated cherry tomatoes a try. I imagined it on a slice of toasted crusty bread. Hmmm….. 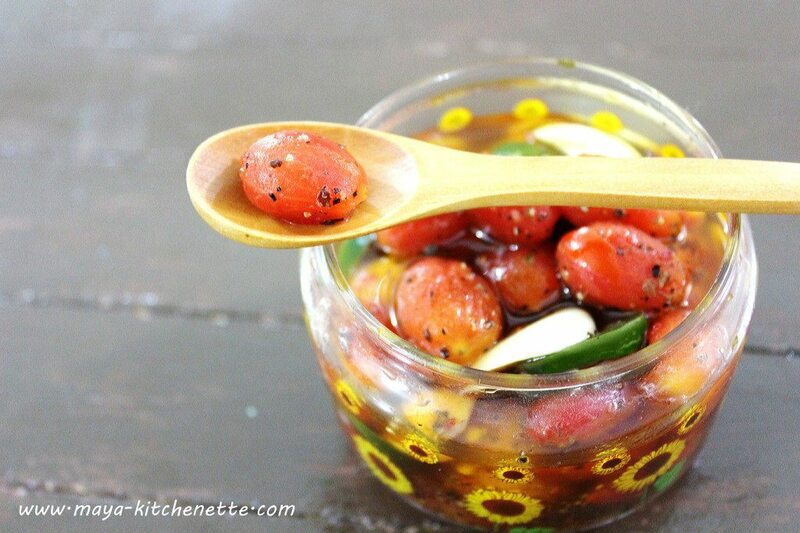 The recipe is so so simple except for the peeling of the tomatoes skin. It is not hard, but at times, I am just too lazy to do certain things. I CAN do it, but if I have my mommie with me, I would choose NOT to do it. Yup. Brat. My mom is god sent, not just for the awesome mother she is…but she enjoy “working” on vegetables. Whenever I cook, most of the time she would always get the vegetables peeled/clean/cut for me. I rarely have to cut onions and that explains as to why till today, I can never slice my onions, paper thin like hers. The next time, u buy a punnet of cherry tomatoes, give this recipe an attempt people. It’s deeeeelish. Why waste tomatoes on La Tomatina, when you can make these? Lightly score the bottom of each tomato with a knife. Just cut a little X at the bottom of each tomato. Try not to cut through the flesh. 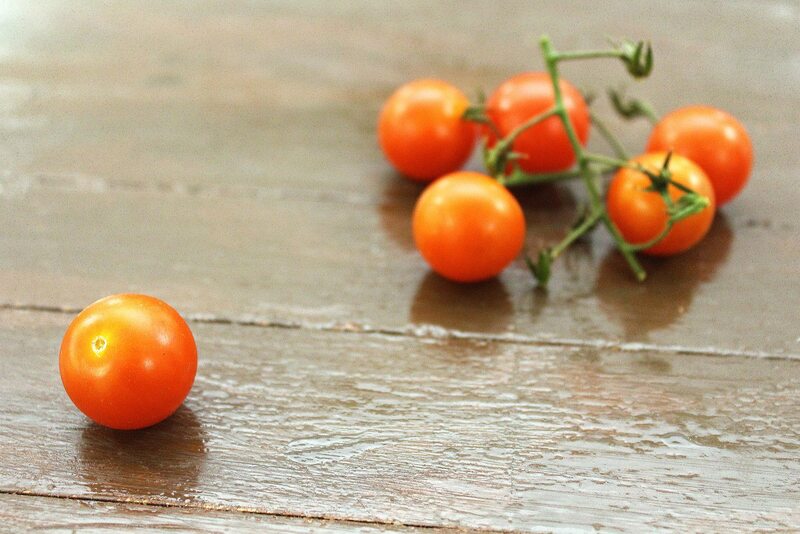 Drop the tomatoes in a pot of boiling water and let it boil for 10 seconds. Strain the water and place the tomatoes in a bowl of cold water, or a bowl of water with some ice. The skin would loosen up a bit. Remove the skin and keep aside. In a bowl, combine olive oil, lemon juice, bay leaf, chili, garlic, herbs salt and pepper. 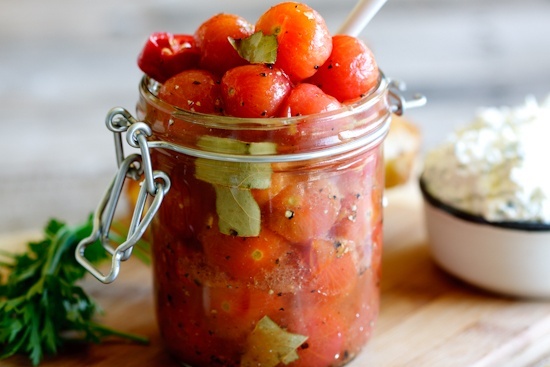 Mix in the tomatoes and store in a jar, in the fridge for up to 10 days. 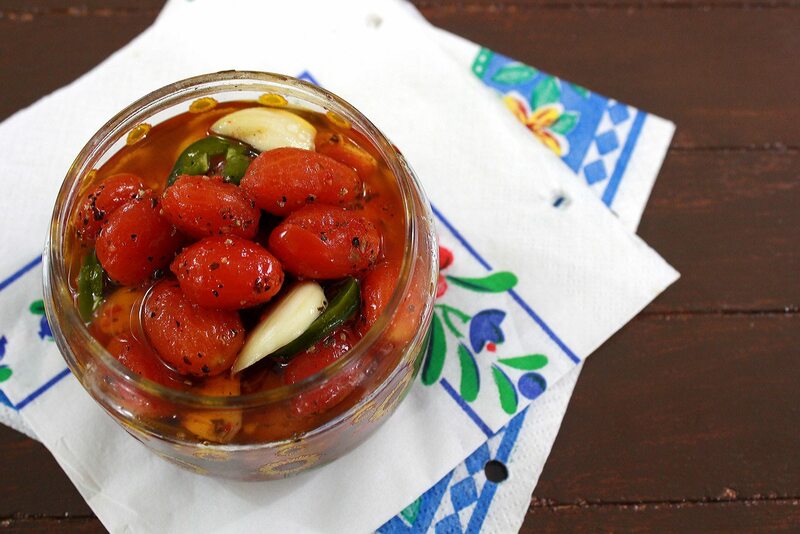 If you love tomatoes, you have got to give this Marinated Cherry Tomatoes recipe a try! I am definitely gonna make this again, even if I have to peel the tomatoes myself! On another note, it is 1st of may….so happy labor peeps! If you have been working very hard, slow down for the day and just smell the coffee. Don’t forget to throw in a muffin by the side of the coffee!